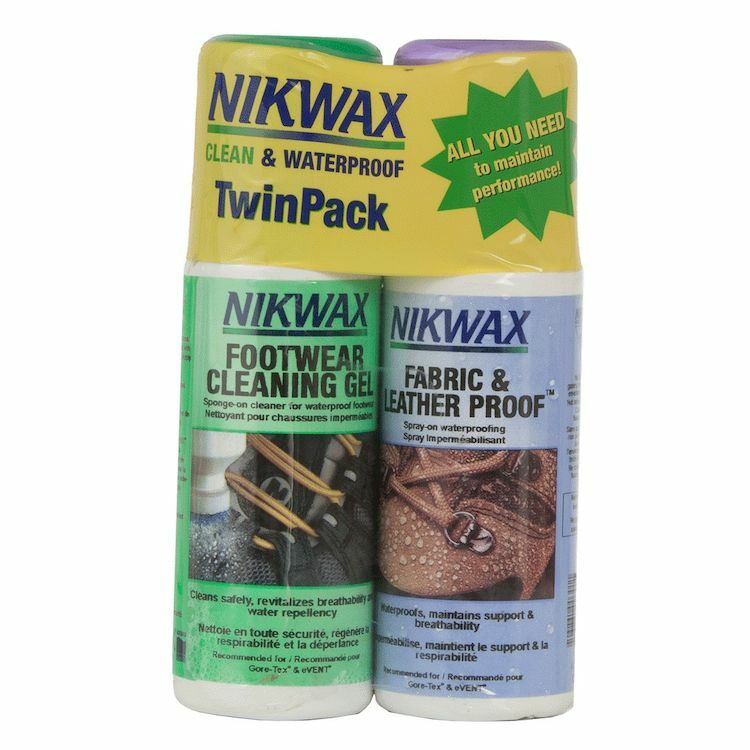 The NikWax Clean And Waterproof Kit consists of all the products you will need to keep your footwear and garments clean and waterproof. The NikWax Footwear Cleaning Gel is a safe cleaner for all waterproof footwear. It cleans safely, revitalizes breathability and water repellency. The NikWax Fabric and Leather Proof is an easy to use, water based waterproofing for fabric and leather footwear. It waterproofs, maintains support, texture and breathability of all combination footwear.